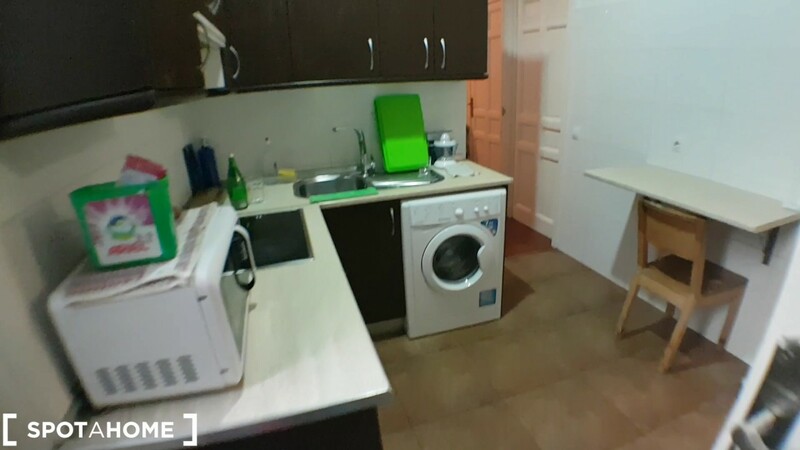 There are rooms for rent in this modern 3-bedroom apartment located on Calle Montserrat in Malasaña with live-in landlady. This apartment has a generous 60 m² footprint, and comes furnished with all the essential appliances including a washing machine, oven and 4-burner electric stove. This apartment is located close to several stores and bars, including a supermarket. The beautiful Temple of Debod is only a 17-minute walk away, while the Plaza de Espana is only a 7-minute walk from the apartment. The bathroom is modern and well lit, with shower, sink and toilet. This is an interior apartment, so there won't be a lot of street noise although it is very central. Smoking allowed: yes, in the kitchen and bathroom only. This apartment is only a quick 5-minute walk from the San Bernardo metro station, which services line 4. There is a bus stop just around the corner which services line M2. The 33-year-old live-in landlady and her boyfriend live at this property.